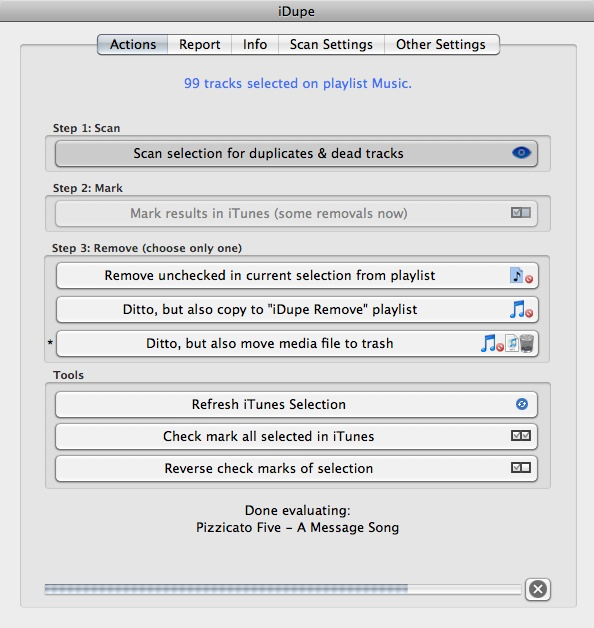 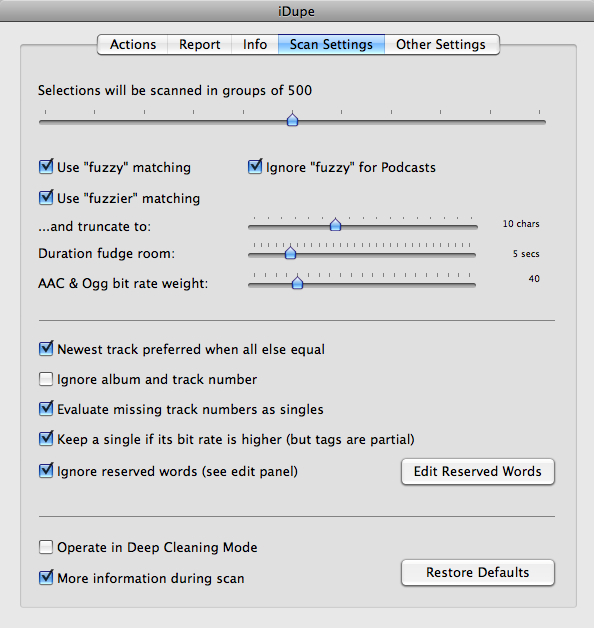 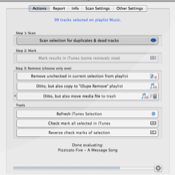 iDupe is used in three steps: scan a selection of tracks in iTunes, mark the results, and remove duplicates. 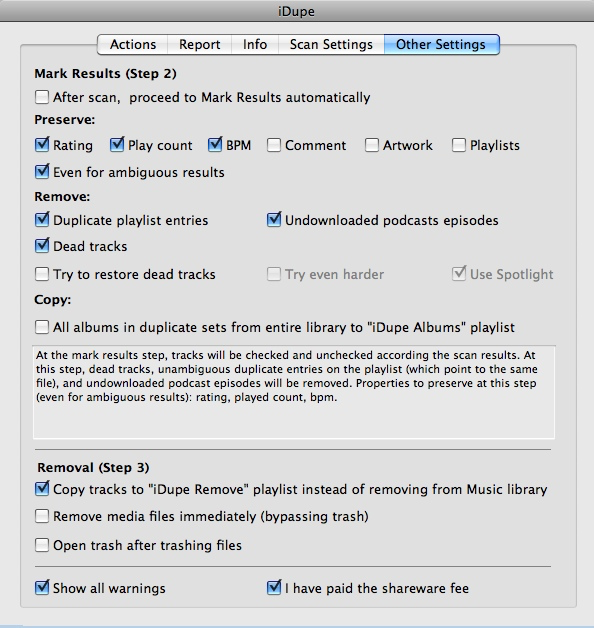 You can fine tune how iDupe decides which tracks are duplicates and which one of them to keep. 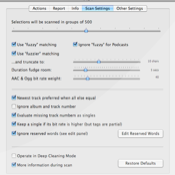 You can decide which information from a duplicate group to retain, and fine-tune other aspects of how iDupe handles your music files.